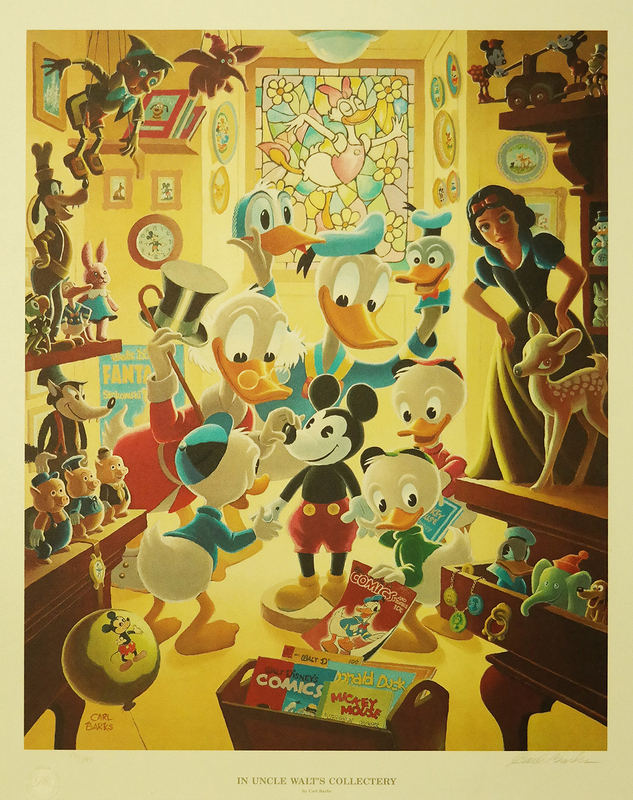 This is a limited edition lithograph entitled "In Uncle Walt's Collectery". 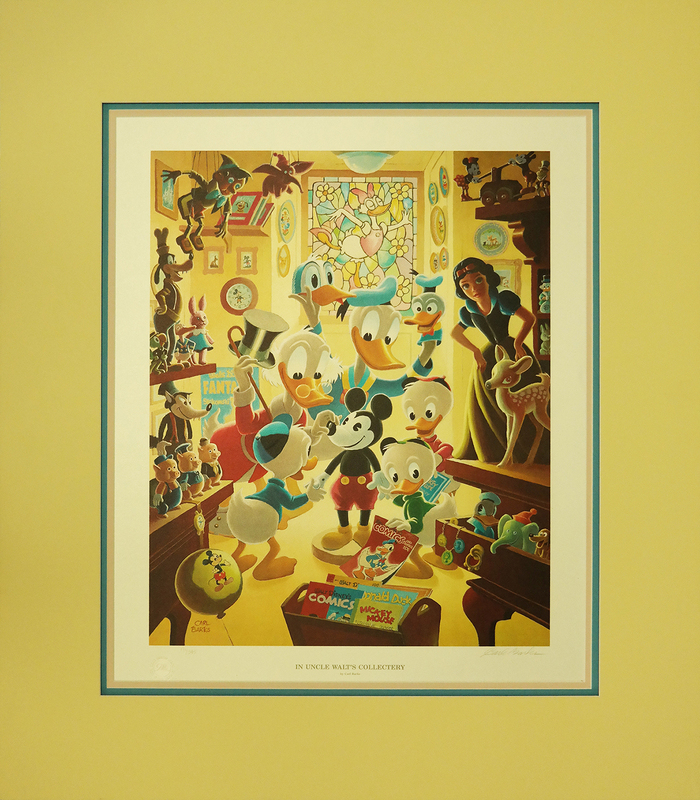 The print is hand-numbered and was signed by Carl Barks. The lithograph has been matted and is #191/395. The overall matted piece measures 32" x 28" and the image measures 20" x 16".